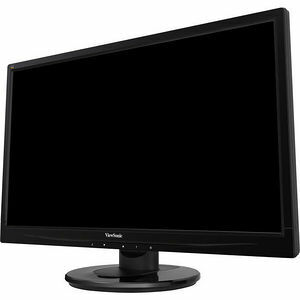 22" LED monitor features a full HD 1920 x 1080 resolution and 16:9 aspect ratio for stunning brightness and contrast whether you're working, gaming or enjoying the latest in multimedia entertainment. A MEGA dynamic contrast ratio better defines the relationship between the darkest and brightest colors to deliver an incredibly immersive experience with accurate, rich and vibrant images. Flicker-Free technology and a Blue Light filter help to eliminate eyestrain from extended viewing periods. VGA and HDMI inputs provide flexible, convenient connectivity while a VESA-mountable design offers additional mount flexibility. As a complete multimedia package, this monitor also includes a pair of integrated speakers. Plus, an energy-saving Eco-mode offers an excellent way to keep your operating costs to a minimum.